Brazilian online learning startup Descomplica has raised investment from several funds to finance its expansion, the company announced today. Backers include Peter Thiel’s Valar Ventures, Brazil-focused Valor Capital Group and EL Area, Dave McClure’s 500Startups, and Palo Alto-based Social+Capital Partnership. As you may remember, Descomplica provides young users with online video classes and tests to help them improve their education level and prepare for entrance examinations (see our story mentioning its SMS program). It initially received angel money from Brazilian fund Gavea Angels towards its launch in March 2011. Since it was keen to partner with 500Startups, it then raised a small follow-on round around a year ago to make way for the fund, which is still present among its current investors. According to Descomplica, it will use this capital to expand its platform by hiring staff, reinforcing its infrastructure and building new content. One of its goals is to increase its library from 2,500 to 10,000 videos, while covering the entire high school’s curriculum. On the technical side, it hopes to make the learning experience more personal and match its users’ individual performance. For instance, it plans to identify the disciplines in which pupils are having difficulties to adapt its offering. “In addition to expanding our team of educators, we want to bring professionals from different Brazilian regions and have them talk about their specificities and culture. This should make our classes even reacher, and improve our pupils’ learning process,” Fisbhen says. There’s no doubt that the education segment is heating up in Brazil, especially when it comes to ed-tech startups. 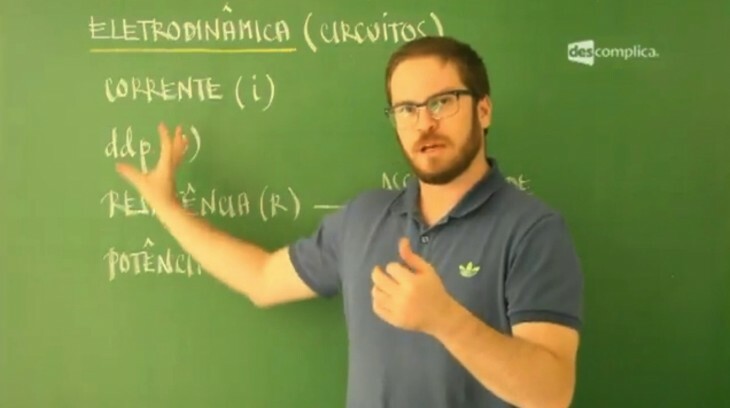 As we reported, online learning startup Veduca has recently raised $740k from Mountain do Brasil, 500Startups and other backers to make courses from the world’s top universities available in Portuguese.